4G Americas has published a detailed whitepaper on Carrier Aggregation (CA). Its a very good detailed document for anyone wishing to study CA. 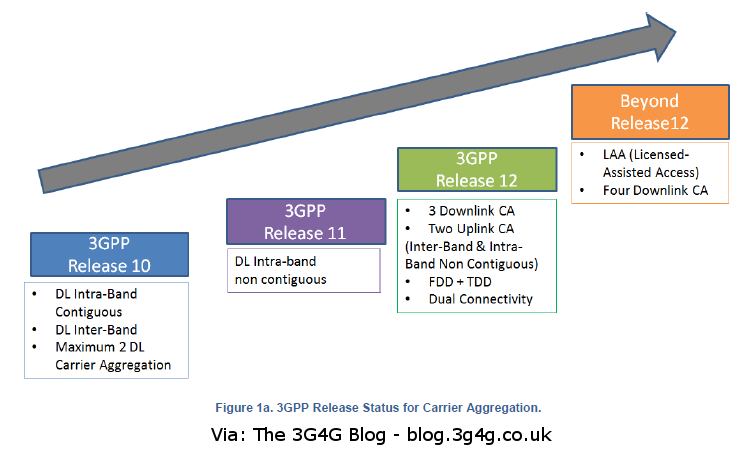 While its good to see that up to 3 carriers CA is now possible as part of Rel-12 and as I mentioned in my last post, we need this to achieve the 'Real' 4G. 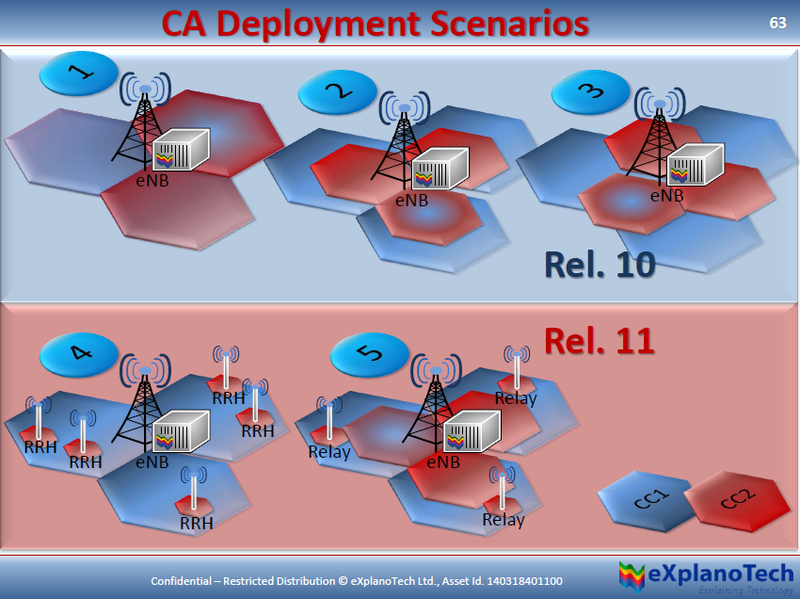 We have to also remember at the same time that these CA makes the chipsets very complex and may affect the sensitivity of the RF receivers. 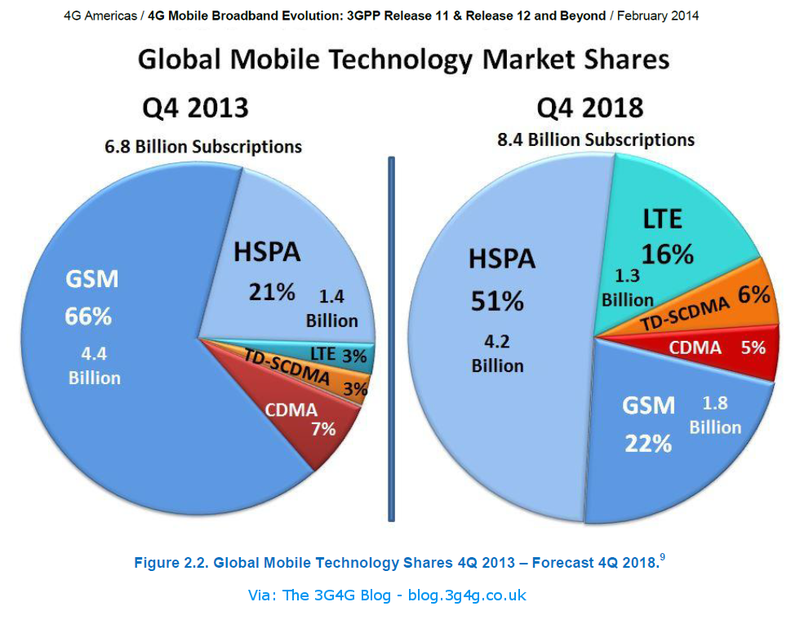 Anyway, here is the 4G Americas whitepaper. 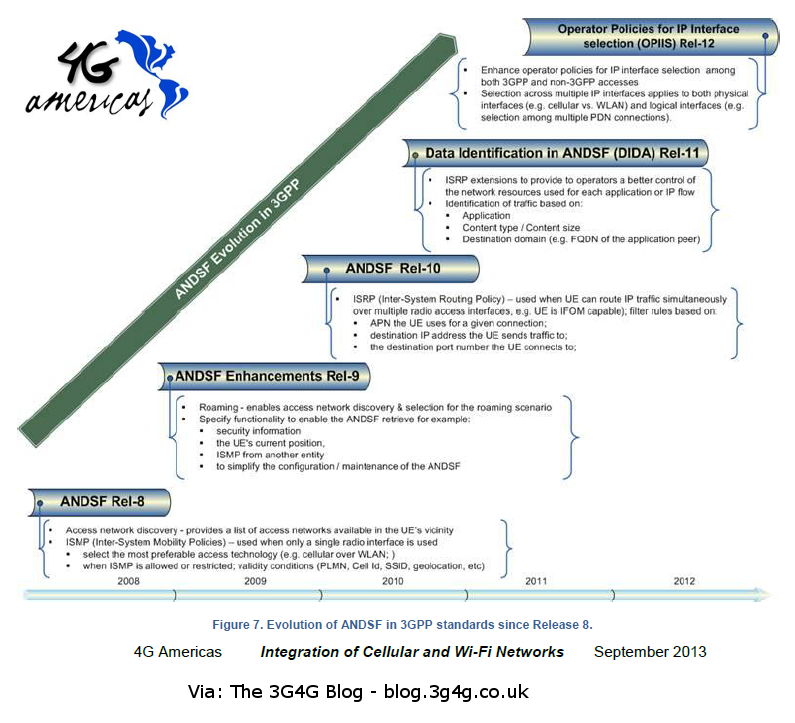 You can read more about the 4G Americas whitepaper in their press release here. Rel. 11 LTE has introduced MMSE-Interference Rejection Combining (MMSE-IRC) receivers as a mobile terminal interference rejection and suppression technology to mitigate the effects of these interference signals and increase user throughput even in areas that are recently experiencing high interference. Rel. 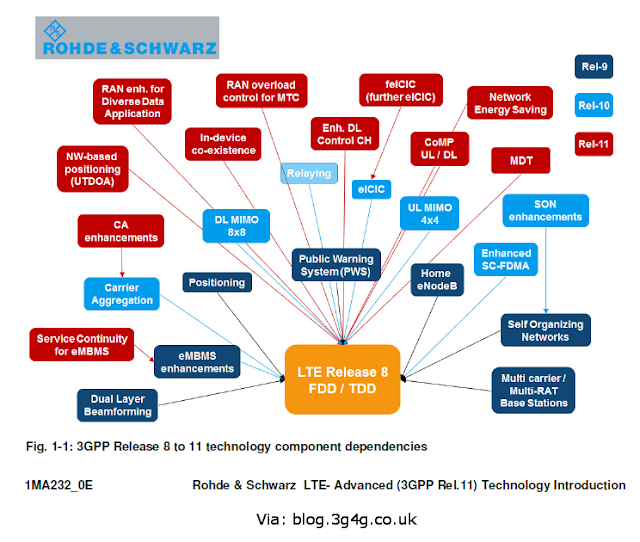 8 LTE receivers support MIMO transmission technology, so receivers were equipped with at least two antennas since it was first introduced. The MMSE-IRC receivers in Rel. 11 LTE, are able to use the multiple receiver antennas to create points, in the arrival direction of the interference signal, where the antenna gain drops (“nulls”) and use them to suppress the interference signal (Figure 1). The terminal orients a null toward the main interference signal, which is the signal that particularly affects the degradation of throughput, thereby improving the Signal-to-Interferenceplus-Noise power Ratio (SINR) and improving throughput performance. 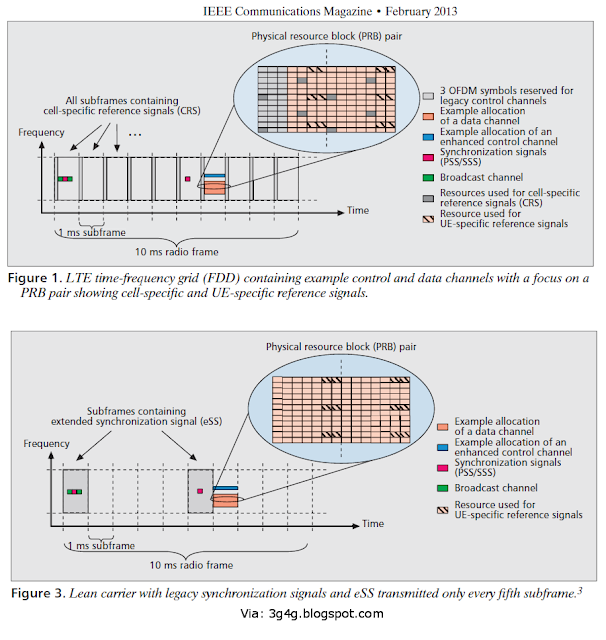 However, with the original MIMO multiplexed transmission, which realized high throughput using multiple transmit and receiver antennas, the receiver antennas are used to separate the signals between layers, so interference from adjacent cells cannot be suppressed and throughput cannot be improved, particularly for mobile terminals with two receiver antennas. 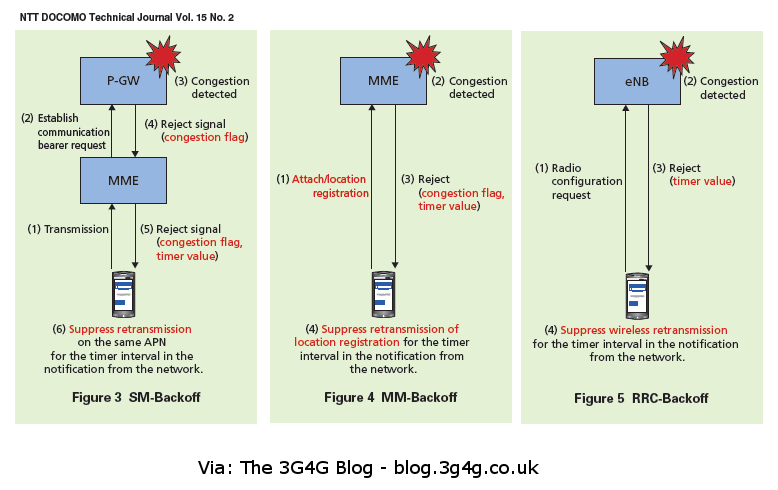 On the other hand, the 3GPP has already included interference rejection and suppression technology in performance specifications for mobile terminals equipped with W-CDMA/High-Speed Downlink Packet Access (HSDPA) in Rel. 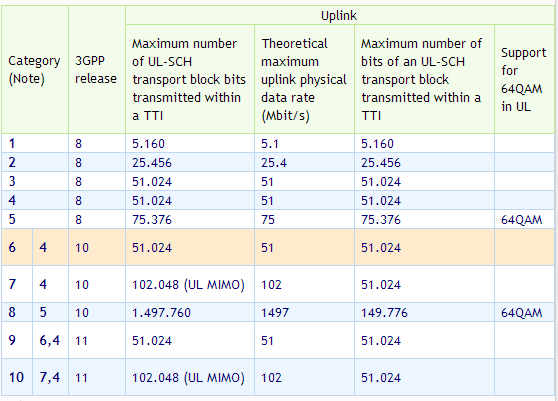 7 of the Universal Mobile Telecommunications System (UMTS). 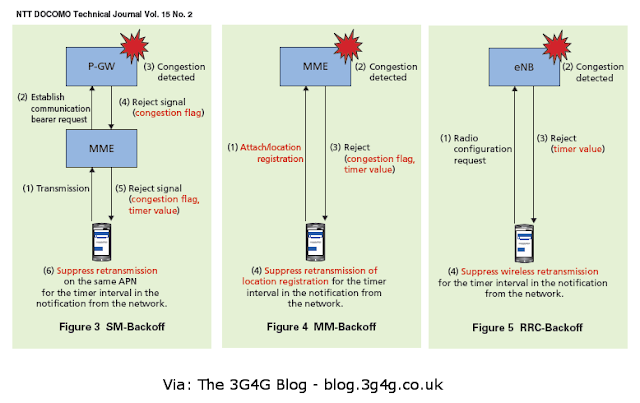 With W-CDMA, receivers normally use one receiver antenna and perform Rake reception, but the effects of multipath interference degrading reception performance was an issue. 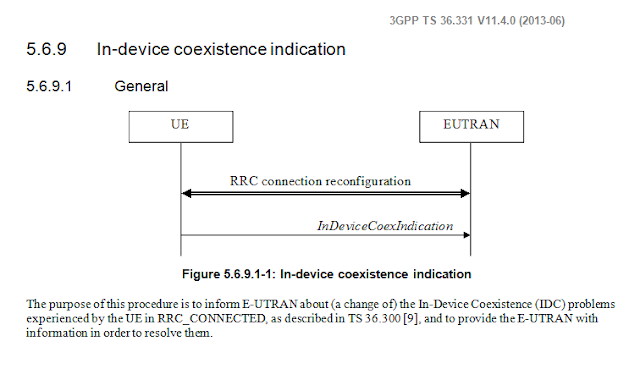 Thus, the following three receiver extensions were studied and introduced. • Type 1/1i extends the Rake receiver to use two antennas. • Type 2/2i extends the Rake receiver to an MMSE receiver that suppresses multipath and adjacent-cell interference. • Type 3/3i extends the MMSE interference-suppressing receiver defined in Type 2/2i to use two receiver antennas. 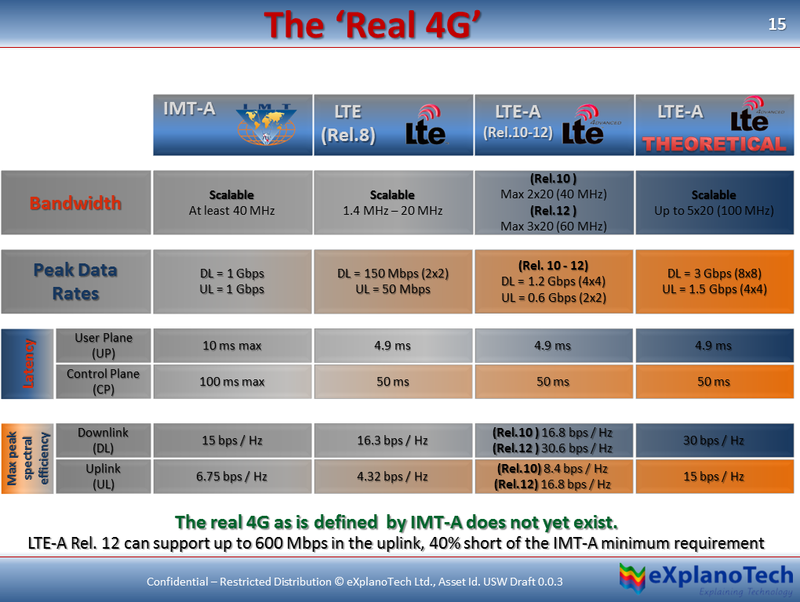 The functional extensions in receivers in Rel.7 UMTS and Rel. 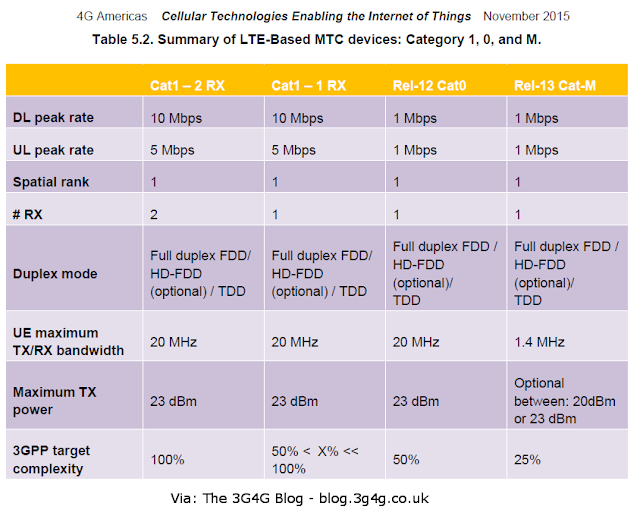 11 LTE are summarized in Table 1. The MMSE-IRC receivers in Rel. 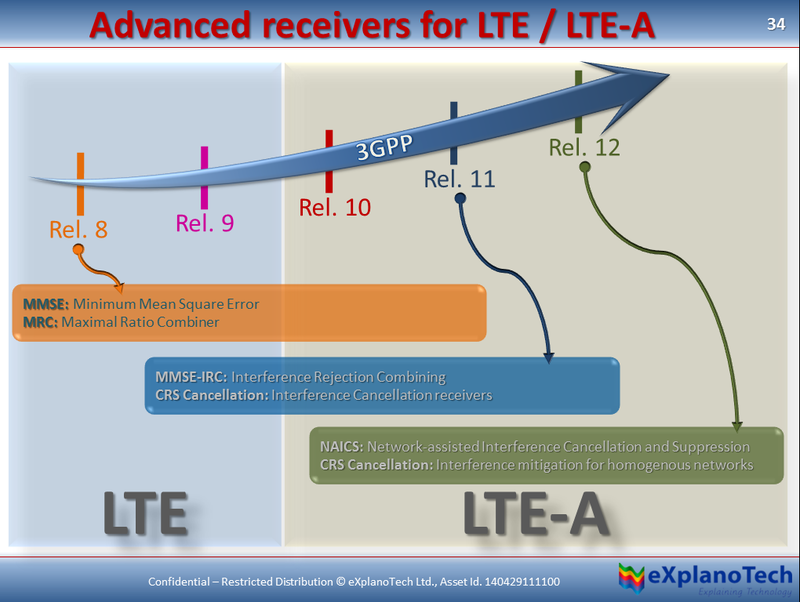 11 LTE incorporate receiver algorithms that are generally equivalent to those in the Type 3/3i receivers introduced in WCDMA/HSDPA. 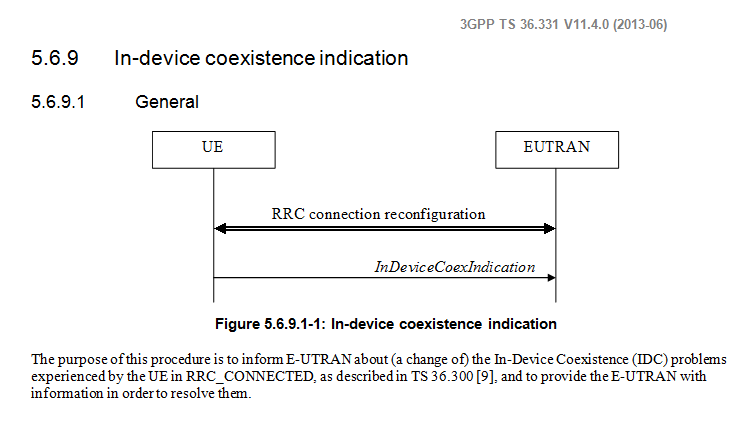 However, in the WCDMA/HSDPA receivers they also operate to suppress inter-coding interference within a cell. 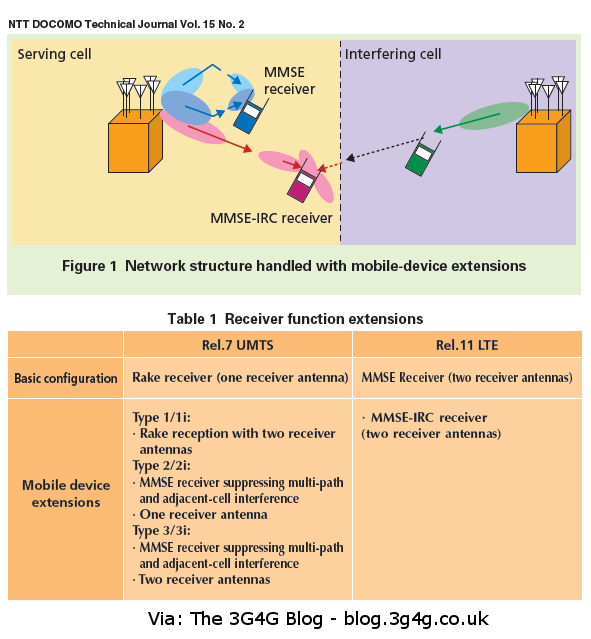 There is no interference within a cell in LTE systems, so in the MMSE-IRC receivers introduced in Rel. 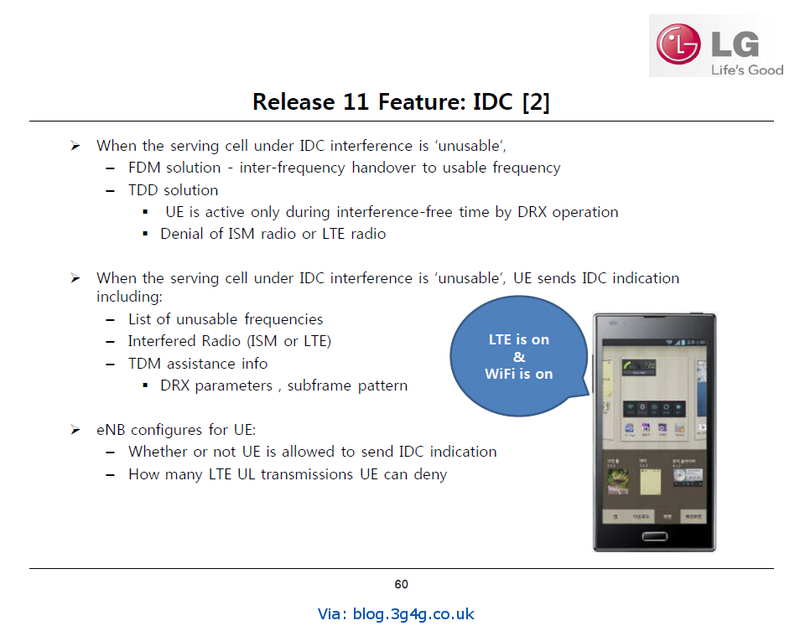 11 LTE, they operate to suppress interference arriving from adjacent cells. Recently while delivering a training, I realised that this is a topic that I haven't covered in the blog before, even though I have been talking about it for a while. 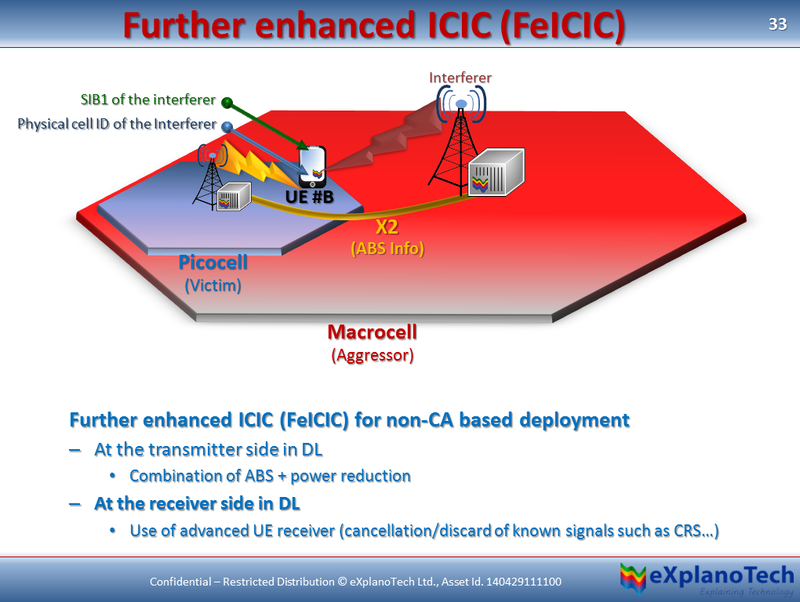 FeICIC has been introduced in Release-11 and there are a few enhancements as shown above. 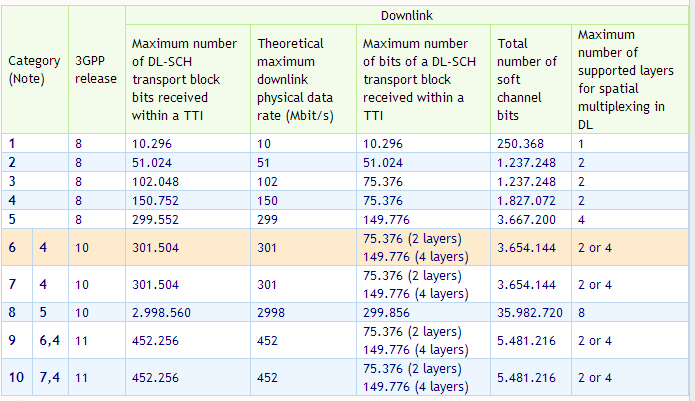 The main being that instead of an Almost Blank Subframe (ABS) with no other information except for the reference signals, now there is a possibility of reduced power ABS where the data on PDSCH can still be transmitted but on a reduced power level. This would ensure that the capacity of the interferer is not wasted. The ground reality is generally a lot different than theory. Metrocells often face interference not just from Macrocells but also other Metrocells. The ABS patterns are not just straightforward Macro to pico case but even pico to pico and multiple macros to pico. 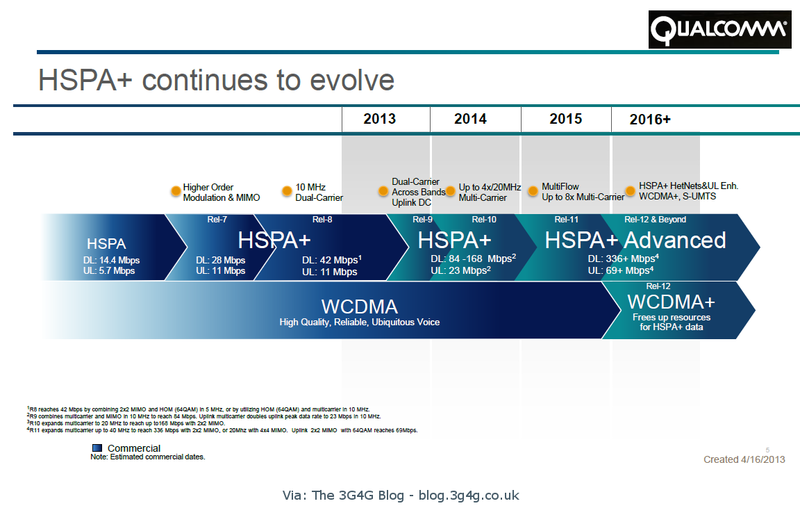 Until all the handsets and other dongles could be upgraded with advanced interference cancellation receivers, there would be many scenarios where deployment option 2 may be chaotic. Deployment option 1 can serve the users well in the meantime. We can sacrifice efficiency for reliability in the meantime. I recently posted the Small Cells Research Bible on the Small Cells blog here, the following is the Interference Management part that would help anyone willing to learn more about this feature. 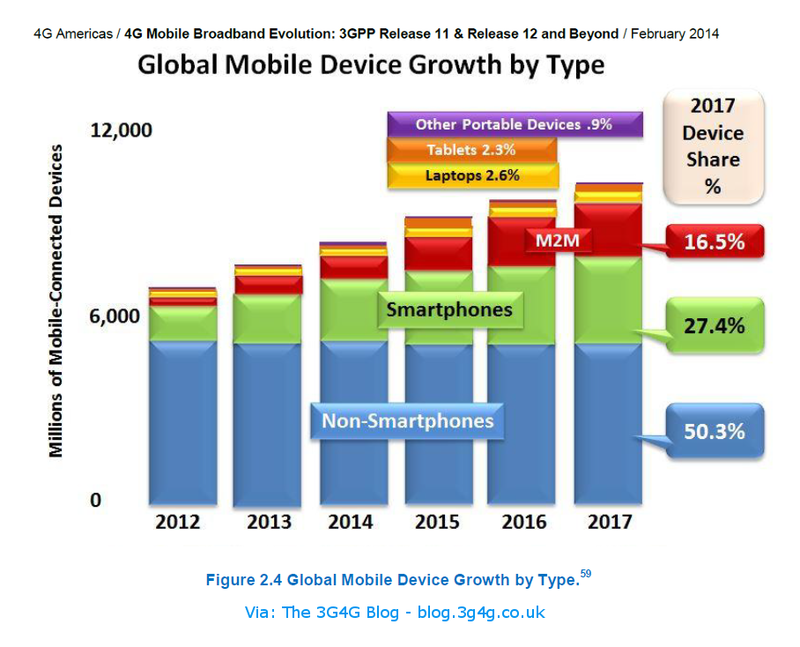 Since 3GPP Release 10 (Rel. 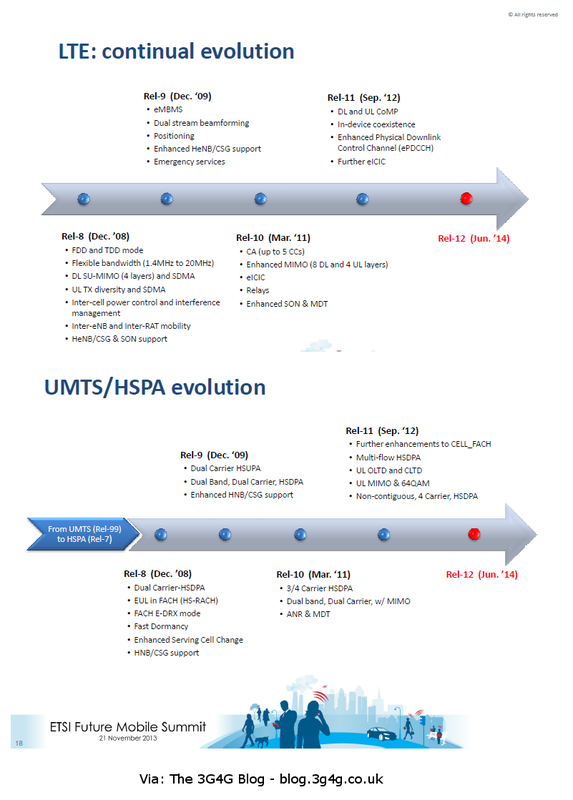 10) in 2010, there has been active study of technical specifications to develop M2M communications further, and NTT DOCOMO has been contributing proactively to creating these technical specifications. 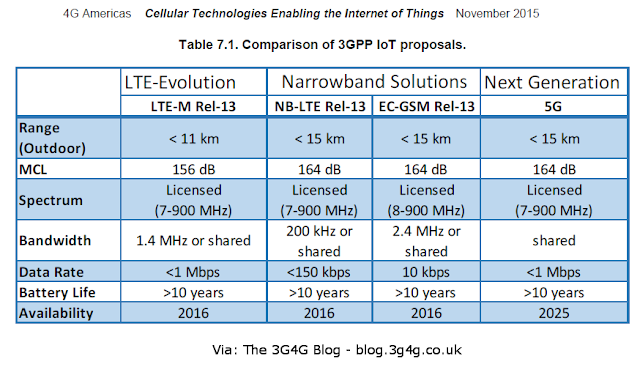 In this article, we describe two of the most significant functions standardized between 3GPP Rel. 10 and Rel. 11: the M2M Core network communications infrastructure, which enables M2M service operators to introduce solutions more easily, and congestion handling technologies, which improve reliability on networks accommodating a large number of terminals. Public Safety is still a hot topic in the standards discussion and on this blog as well. Two recent posts containing presentations have been viewed and downloaded like hotcakes. See here and here. The ’Critical Communications World’ conference, held recently in Paris, has focused largely on the case for LTE standardized equipment to bring broadband access to professional users, by meeting their high demands for reliability and resilience. 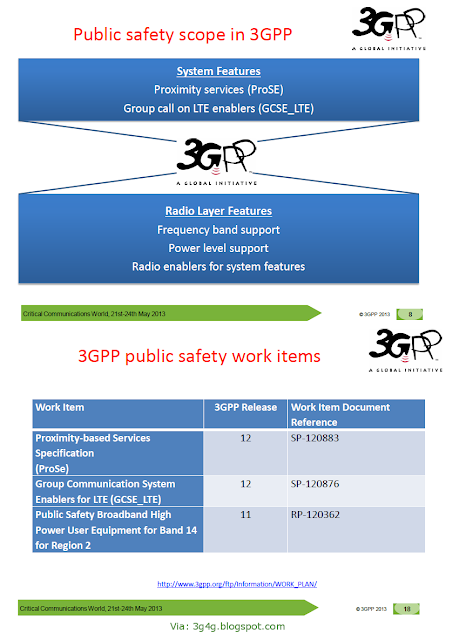 Balazs Bertenyi, the 3GPP SA Chair, reported on the latest status of the first 3GPP features for public safety, in particular those covering Proximity services (Direct mode) and Group call. He spoke of the need to strike a balance between more or less customisation, to make use of commercial products while meeting the specific requirements for Public Protection and Disaster Relief (PPDR). 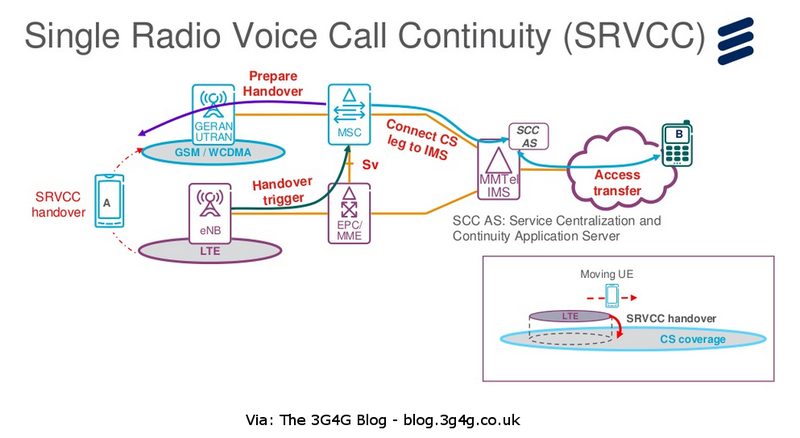 To ensure that these needs are met, Balazs Bertenyi called for the wholehearted participation of the critical communications community in 3GPP groups, by sending the right people to address the technical questions and obstacles that arise during the creation of work items. One of the changes being worked on and is already available in Release-11 is the Band 29. 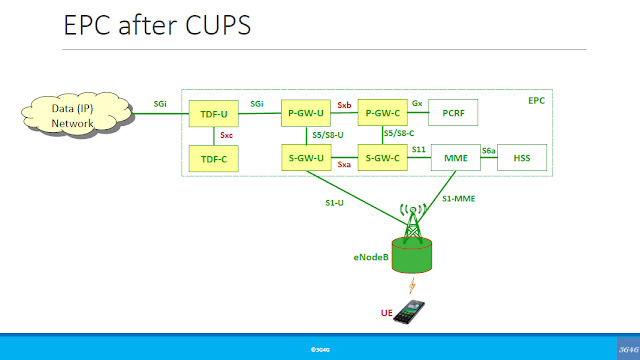 Band 29 is a special FDD band which only has a downlink component and no uplink component. The intention is that this band is available an an SCell (Secondary cell) in CA (Carrier Aggregation). 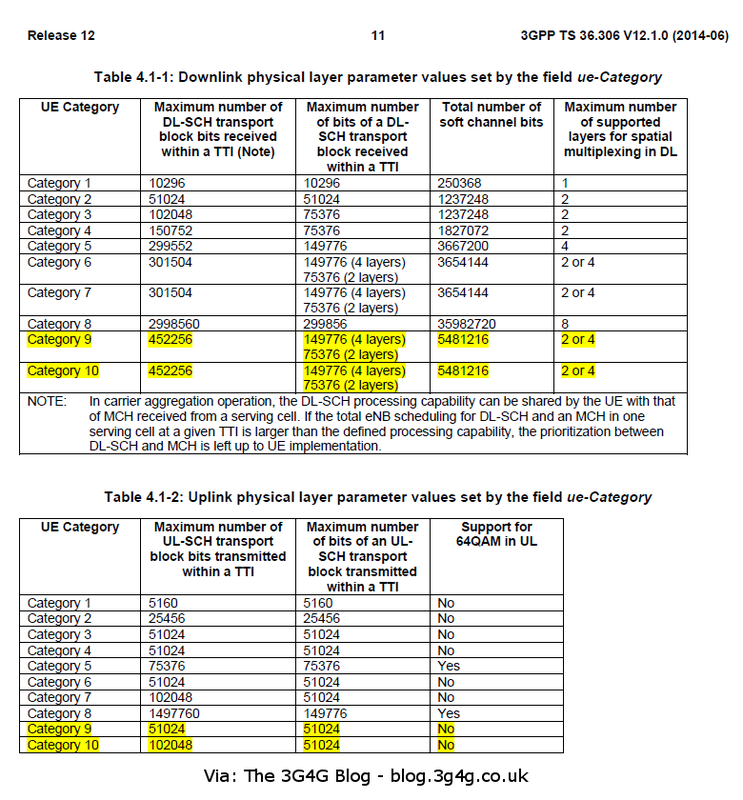 What this means is that if this is only available as an SCell, any UE that is pre-Rel-11 should not try to use this band. It should not read the system information, reference information, etc. In fact the System Information serves little or no purpose as in CA, the PCell will provide the necessary information for this SCell when adding it using the RRC Reconfiguration message. 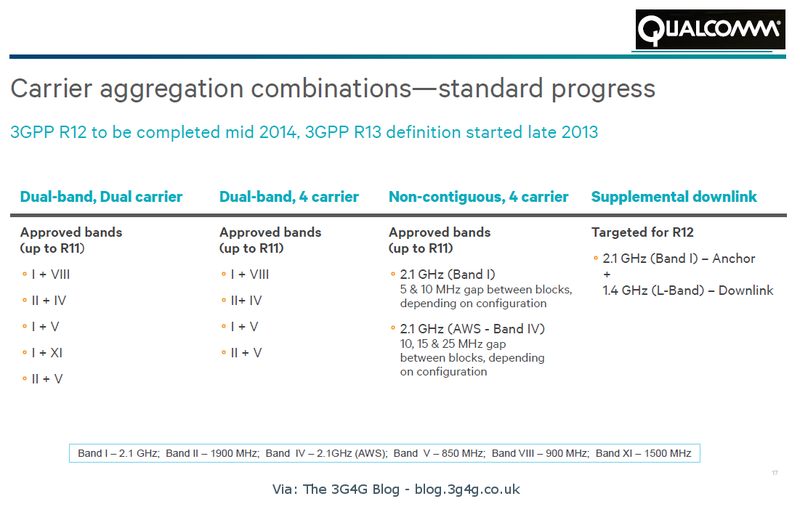 This gives rise to what 3GPP terms as New Carrier Type for LTE as defined here. An IEEE paper published not long back is embedded below that also describes this feature in detail. The main thing to note from the IEEE paper is what they have shown as the unnecessary information being removed to make the carrier lean. 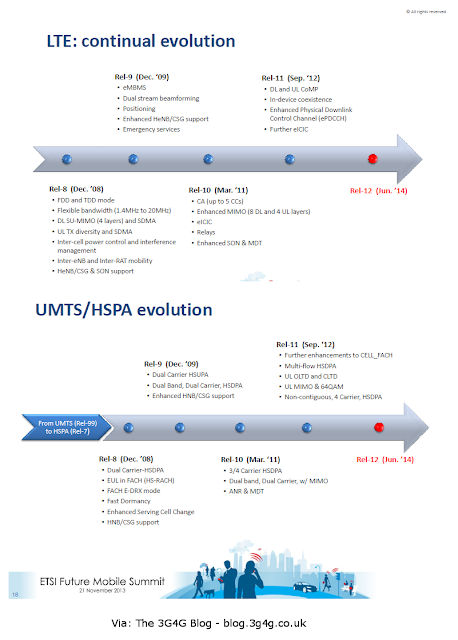 China Mobile, in their Rel-12 workshop presentation, have suggested 3 different types/possibilities for the NCT for what they call as LTE-Hi (Hi = Hotspot and Indoor). 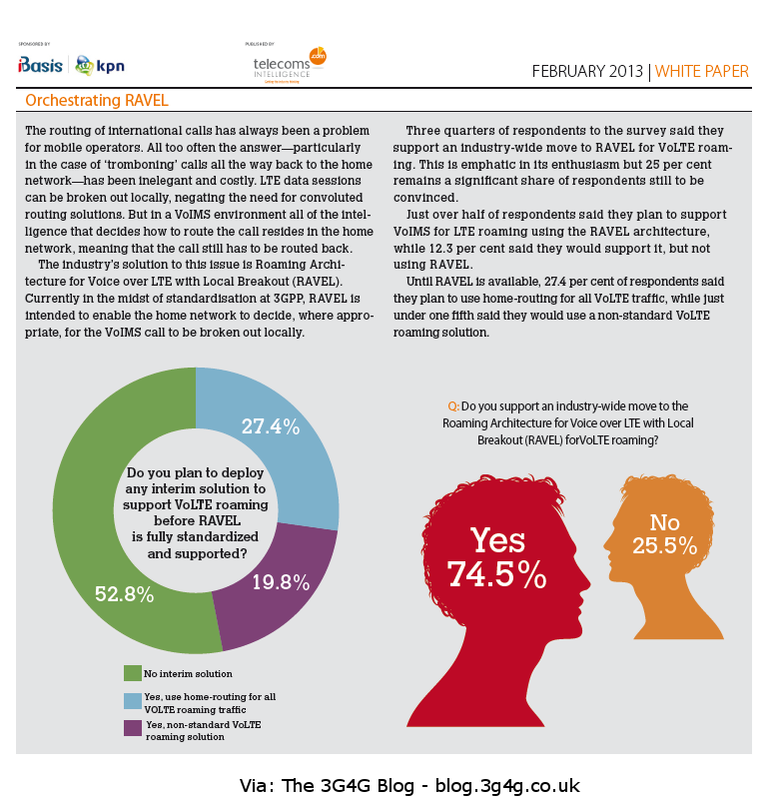 Network energy efficiency is to a large extent an implementation issue. However, specific features of the LTE technical specifications may improve energy efficiency. 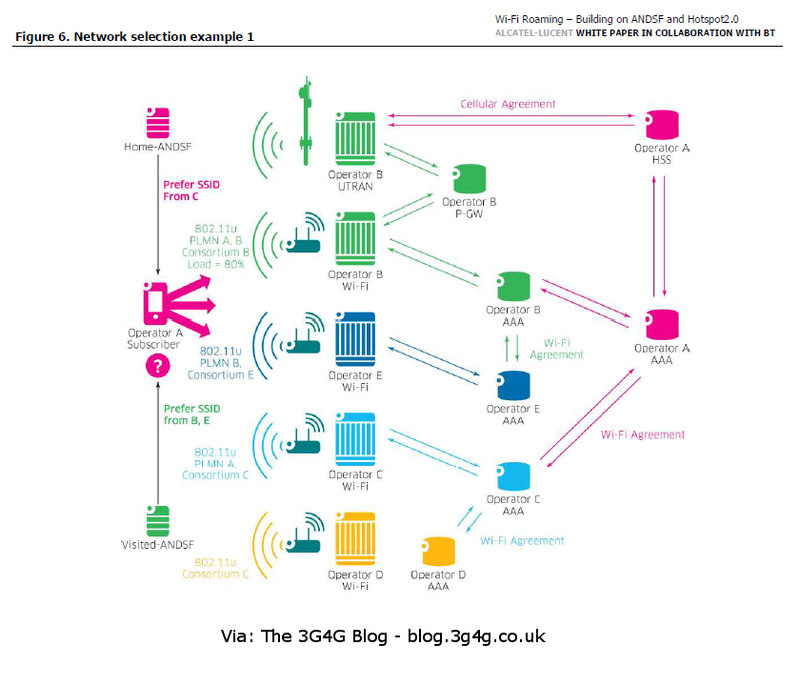 This is especially true for higher-power macro sites, where a substantial part of the energy consumption of the cell site is directly or indirectly caused by the power amplifier. 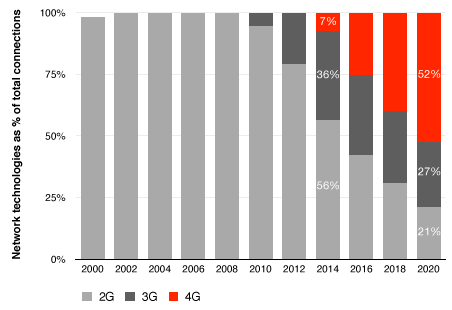 The energy consumption of the power amplifiers currently available is far from proportional to the power-amplifier output power. On the contrary, the power amplifier consumes a non-negligible amount of energy even at low output power, for example when only limited control signaling is being transmitted within an “empty” cell. 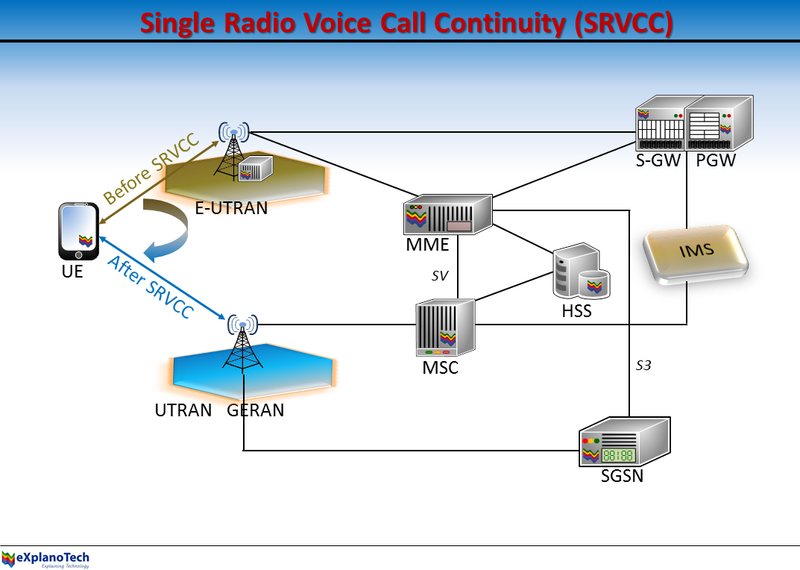 Minimizing the transmission activity of such “always-on” signals is essential, as it allows base stations to turn off transmission circuitry when there is no data to transmit. 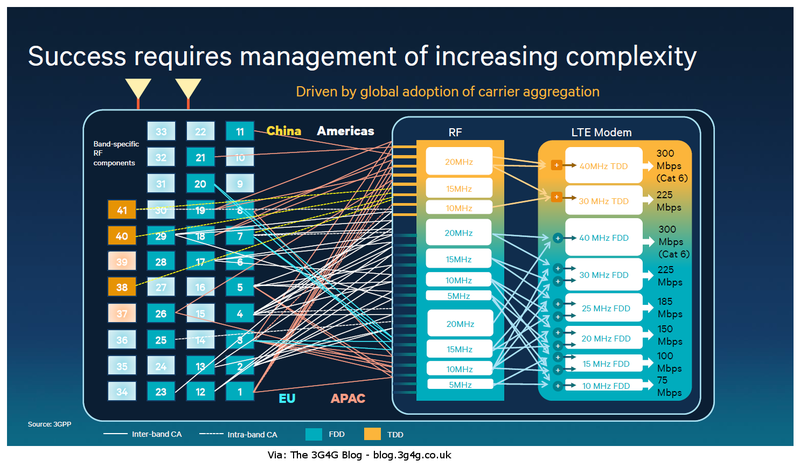 Eliminating unnecessary transmissions also reduces interference, leading to improved data rates at low to medium load in both homogeneous as well as heterogeneous deployments. A new carrier type is considered for Release 12 to address these issues. Part of the design has already taken place within 3GPP, with transmission of cell-specific reference signals being removed in four out of five sub frames. Network energy consumption can be further improved by enhancements to idle-mode support. Continuing on the eMBMS theme. 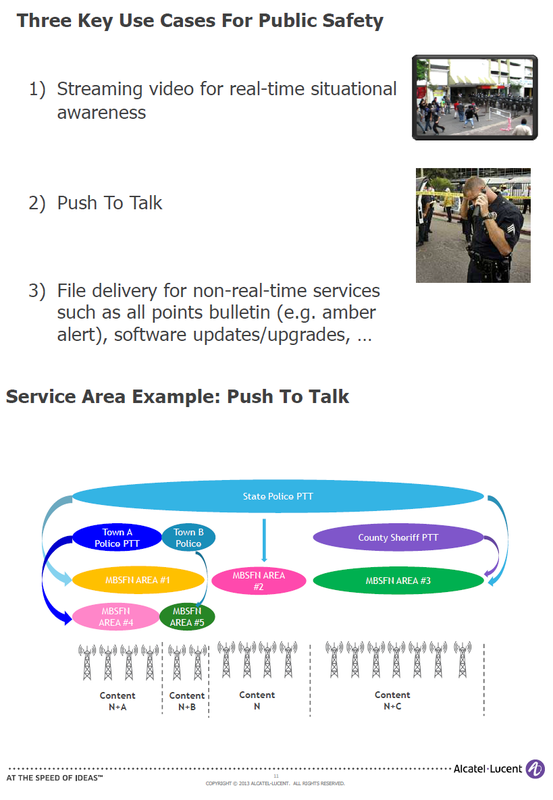 In the presentation in the last post, there was introduction to the eMBMS protocols and codecs and mention about the DASH protocol. This article from the IEEE Communications magazine provides insight into the working of eMBMS and what potential it holds.